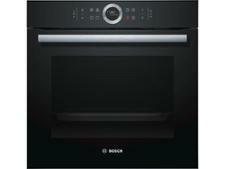 Top Five Single Ovens - Which? Our expert pick of the five best built-in single ovens to help you find your next model fast. 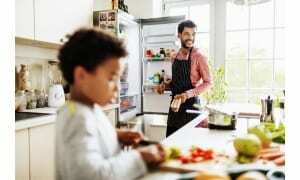 The best ovens will make cooking a breeze, reliably turning out tasty meals for years on end. But it's impossible to tell in the shops which ones will take ages to heat up, whether they'll leave you with uneven, poorly risen bakes or whether the temperature you select is really the one you'll get. We've rounded up our pick of the five best built-in single ovens to help take the guesswork out of choosing. From the best oven we've ever tested to the cheapest Best Buy oven with pyrolytic cleaning oven, we'll help you find the best for you. Members can log in now to view our recommendations in the tables below. If you're not yet a member, join Which? to get instant access. This high-scoring, but pricey, Best Buy oven has plenty going for it and sailed through every one of our tests. Not only does it bake, cook and grill brilliantly, but it's jam-packed with useful features and is easy to clean when you've finished. This is an excellent multifunction oven. It gets up to temperature really quickly, and supplies heat evenly regardless of which shelf you use. The grill spreads its heat far and wide, so you won't need to shuffle your sausages around to get them evenly browned. If you want pyrolytic self-cleaning cleaning without breaking the bank, this spacious single model could be the one. The oven is accurate, quick to heat up and easy to use. On top of this, the grill is one of the best we’ve come across. 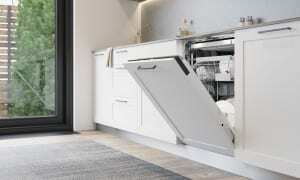 You’ll pay a premium to enjoy the delights of a slide-under oven door in the Bake Off style, but there’s plenty more to recommend this oven. It’s super-fast to heat up and sticks closely to the temperature you set it at. Plus, it’s easy to use, and the grill is great. Whether you're baking show-stopping cakes or feeding the family, the last thing you want is an oven that will keep you waiting an age for it to heat up, only to under or overcook your food. That's why we put all built-in ovens through rigorous tests so we can weed out the ones to avoid, and recommend only the very best. We assess each oven to find out how quickly it heats up, how accurate the temperature controls are, how effective the grill is and how evenly it cooks. 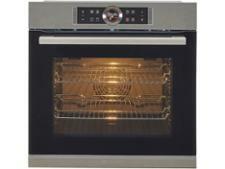 We bake shortbread and sponge cakes in each oven to spot any telltale signs of uneven cooking. The best ovens we've tested heat food evenly, but the worst leave some areas burnt and others undercooked. You might think it's a given that your oven will reach the temperature you set it to, but some of the worst models we've tested can overheat by more than 30ºC. That's why we also record the accuracy of each oven, so if you turn the dial to 200ºC, you can feel confident that's actually the temperature you'll get. As well as our extensive lab tests, we ask thousands of oven owners each year to tell us how happy they are with their built-in ovens, and to let us know about any faults they've had. Using this feedback, we can give each brand a unique reliability rating. 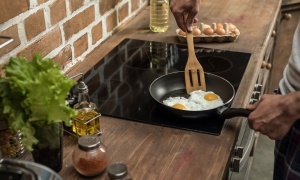 We've compared 19 bestselling brands, including Belling, Bosch, Hotpoint, Neff and Samsung, so we can tell you which you can trust to see you through years of hassle-free cooking. 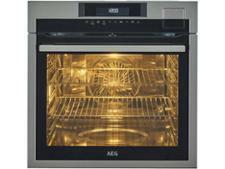 Find out how the big brands compare by heading to our reliable built-in oven brands guide.